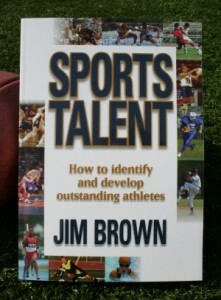 Learn how to identify and develop outstanding athletes. If you have ever wondered if your athletically inclined child has what it takes to compete at the high school, college, or professional level, look no further than Sports Talent. In Sports Talent many coaches and scouts reveal the physical, mental, and emotional attributes they look for in young athletes. With a wealth of input from top experts and coaches, this book addresses key issues, sport-specific evaluations, and training development methods in 13 different sports for boys and girls. Sports Talent provides checklists and tests to more easily and objectively evaluate whether a young athlete possesses average or exceptional athletic talent. The systematic approach to measurement provides data on the potential of young talent that can then be compared to national averages. This ground breaking, easy-to-follow guide will provide much needed insight on how to develop talented athletes to their fullest potential, while providing ways to support them in a positive and productive manner.